Set within a contemporary new build property this curved kitchen was to form the focal point within a large kitchen dining area. 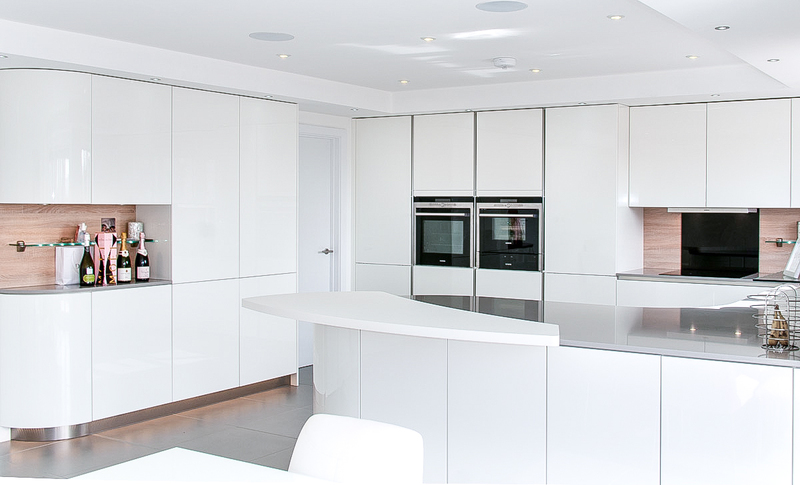 Our clients wanted a designer kitchen that would feature not only curves but also no handles. It had to deliver a high level of functionality whist never compromising on style. Curves were a must and set the tone of the whole design. Luckily for us the space lent itself to a beautiful curved peninsula running parallel to the tall unit bank on the back wall. The challenge with curves is how to integrate them into a space that is primarily made up of straight lines. To achieve the balance here we kept the curves to the peninsula with just one more on the bar unit. Less can sometimes be more and this is a good example of not over doing an idea. The drop ceiling detail running around the perimeter is another detail we added to homogenise the space, adding lighting and interest whilst also housing the tall units. The pictures, as always, only tell half the story. The overall feel of the space is every bit as glamorous as it looks but what is perhaps a little harder to appreciate is just how functional this kitchen is. Full height fridge, full height freezer, oven, steam oven, warming drawer, induction hob and not one but two dishwashers make it a kitchen that can handle everything life can throw at it. 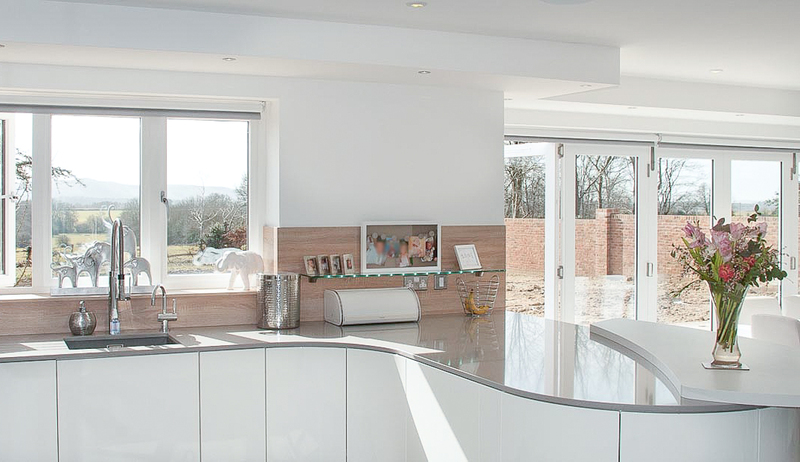 The seductive curves are perfectly complimented by the 20mm quartz worktops and the Natural Oak wall panelling. These types of kitchen are always a challenge, both on the design side but just as crucially on the installation side too. It’s a credit to our fitting team the way they once again turned our customers dream into a fully functioning reality. 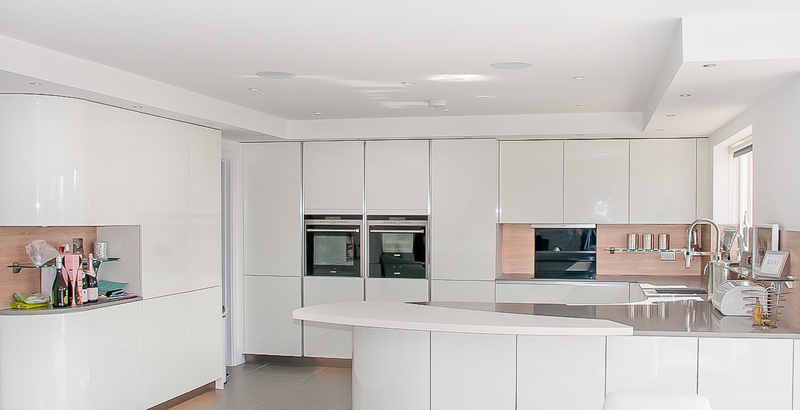 This kitchen is a huge triumph and occupies the key space in the home of a local celebrity. Pretty cool huh!